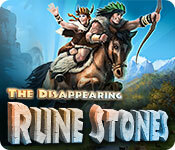 The Disappearing Runestones is rated 3.8 out of 5 by 20. Rated 5 out of 5 by RubyDoobie from Hours of fun This game is very unique in that you can play the game in three different modes or in all three modes. I love solitaire games and this one is really extraordinary. It is not an exceptionally difficult game, but the variety of experiences makes it great fun, and I often find myself so absorbed that I play for hours. I have completed the game and am replaying it using the variety it offers more effectively. If you enjoy card games with a difference this one is a must. Rated 5 out of 5 by mike565 from Best Solitaire after a Long Time!!! Amazing solitaire after such a long time. 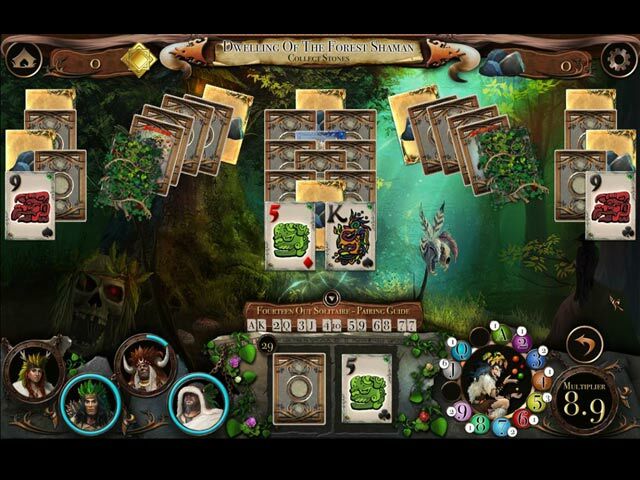 Smooth gameplay with 3 different types of Solitaire to play in one game. I can play any type of solitaire at any time in the game. I like that they have left the choice of selection to the user. I can just change the game mode if the level is difficult mainly for the relic challenge. That is the best feature of this game! Good graphics and music. Great story as well! Lots of wild cards and very useful powerups. A definite buy! Rated 5 out of 5 by pjandmaui from Mauidog A fun and creative Solitaire that incorporates 3 different styles of play plus match 3 battle scenes. Seemed to run a tad slow to me, but after a few rounds of play I no longer noticed. Music is pleasant enough and rotates various tunes throughout game play. A refreshing difference from most solitaire games! Rated 5 out of 5 by brimaz from LOVE IT!! At last, a solitaire game with a difference. I played the whole trial hour without realising it until I got kicked out and bought it so I could keep playing. I love having 3 different styles of solitaire, and I love the cheeky way the game tells you "try harder" if you fail a level. Solitaire lovers will snap this one up! Rated 5 out of 5 by Mernon54 from Love This Game!! This is not your usual boring solitaire game. Good story, great artwork, three different ways to play. I Love It!!! Rated 5 out of 5 by pennmom36 from Restore The Fountain Of Life With Three Solitaire Style Games Two great Solitaire games in a week! I love this Native American themed Solitaire game which offers three different styles of Solitaire, Higher/Lower, Match 2, and Sum of 14. You can choose to play with just one style throughout the story, or all three, which requires you to find relics by playing one game in each style per set. There are only two deck options, a simple deck or the Native American deck. The Higher/Lower style requires you to make matches either one higher or one lower than the foundation card regardless of suit. The Match two style requires you to make matches of two cards in a Mahjong style game, and Sum 14 requires you to match two cards which add up to the sum 14 (Jacks=11, Queens= 12, Kings=13, Aces=1) If you don't find the relic in any of the three categories you'll have to replay that style until you find the relic. There are Wild Cards to earn that are hidden under some of the cards, which just require you to click to receive it, and each wild card number can have several cards as indicated by the number next to the wild card. 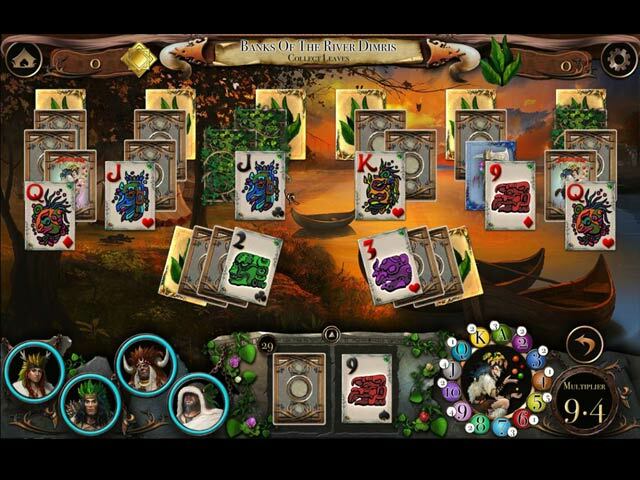 There are Treasure chests that contain gold or bonuses, Lucy cards to earn and Bad Luck cards which take out one or more of your bonuses for the remainder of the game. There are 4 different character icons which give you certain bonuses to use, one removes one open card, one removes one closed card, one removes one gold resource card and the last one gives you 2 free wild cards. After each set you will play a Match 3 fight game. I didn't like this feature because you could only swap tiles up and down not from left to right. Swapping three or more daggers will attack the enemy, and the idea is to win by depleting the enemy's health. This is an entertaining Solitaire that offers a variety of choices, but at times it does tend to run a tad bit slow, but certainly worthy of a coupon, enjoy! Rated 5 out of 5 by Moneve from Variety! First solitaire game that is really different and a challenge! I was drawn in from the beginning and just had to have it! The choices are interesting and present a different game in one! 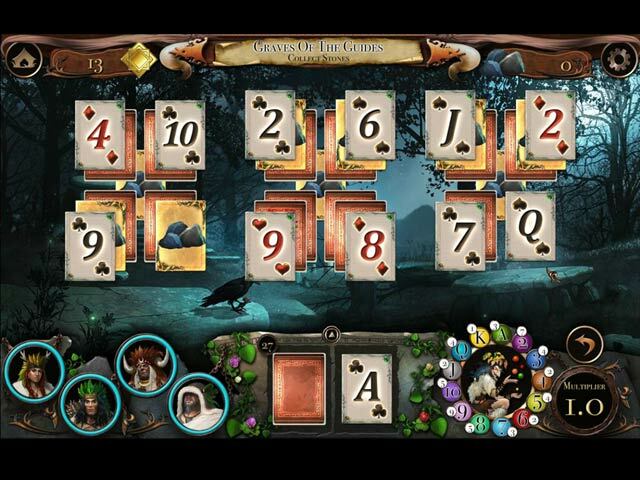 Rated 4 out of 5 by deddu from Variety Solitaire If you like solitaire games you will love this one. You can play the three types: up-down; matching, or equals 14, or choose your own. I didn't care for the match 3 part as it seemed very slow. Otherwise a great game.